comprehensible even for those new to the product. 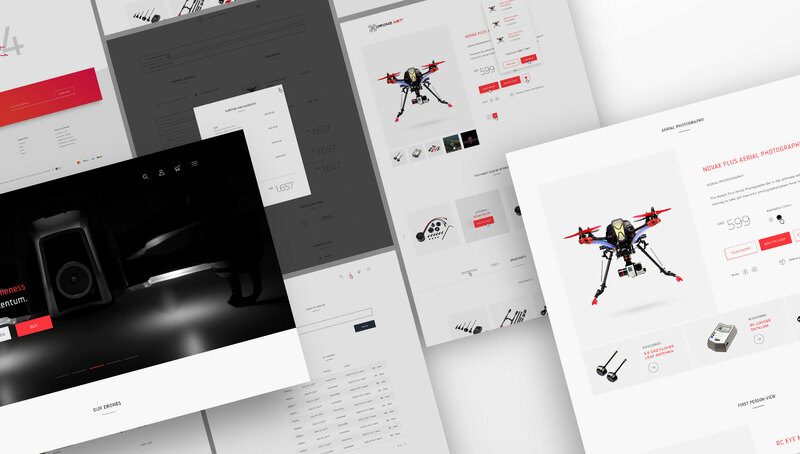 We designed a masculine and uncluttered e-commerce UI with the option to dive deeper into the technicality of each product. 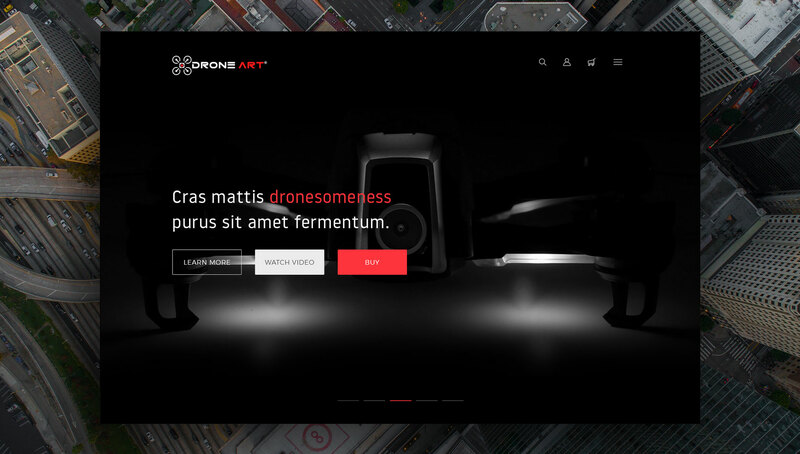 Accommodating video content was a big part of the UX and UI design as providing excellent visual material is the core of Droneart’s business. The new website was received with a lot of enthusiasm. 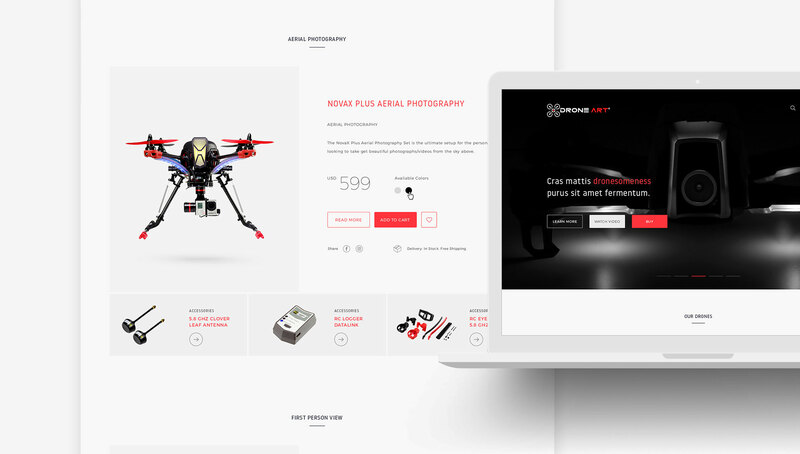 It attracted an overwhelming amount of user generated content in the form of pictures and videos which Drone Art is using for its blog and Instagram posts resulting in an even more connected and invested user base.